Julia Thompson says - "I have been buying item�s from the Lemax collection for about six years now. Most of my collection was purchased from Dawsons on line or in store." 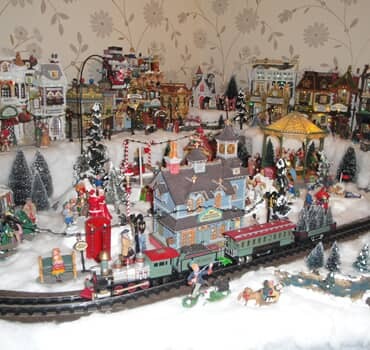 "I always visit Dawsons at the beginning of December when I start to assemble my village." 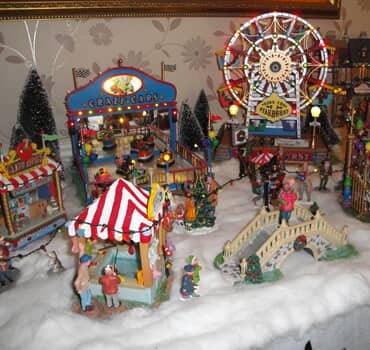 "It keeps growing year after year as there is always something that takes my eye, last year it was the fair ground. What will it be this year!" Thank you for taking the time to send images of your Lemax collection Julia - as a note our Lemax Christmas department opened in October (2013) but closes just after Christmas. If you have your own Lemax Collection and would like to see it featured on our website then send us some photos (less than 20MB in size please) to us at [email protected] with your name and a message about your Lemax Collection and we'll feature it right here on our website - so that others may benefit from your success and share in the delight of your Lemax Collection.